ham from the sierra or mountains. This is one of the two hind legs, which are immediately separated from the pig after the slaughter. Once the leg is amputated, the excess fat on the inside of the back of the leg is removed to press the artery. Then men squeeze the blood out because the amount of pressure required to insure that all the blood is eliminated is great. The leg is patted dried with a cloth and weighed. 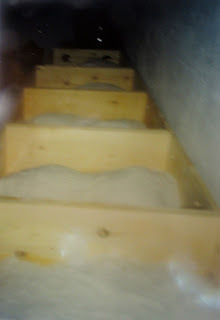 It is taken to the drying room where a layer of rock salt is placed in the bottom of a wooden box. Two legs are put into each box and covered with a mixture of rock salt and water. Then the legs are entirely covered with dry rock salt, like a blanket. If each leg weighs 9 k. then about 25 k. of salt are used. If too much salt covers the ham, nothing will happen as each leg only absorbs what it needs. The legs are left two days for each kilo, i.e. 18 days in this case. Then they are hung. Hams are hung anywhere from six months to two years depending on the size and need. Once a ham was forgotten for about six years. Although this should be too long for the ham to keep, it did and had a rare sweet acorn taste due to the pig’s diet. Where the Pecking is Excellant! The "pata negra" (black hoof) is considered the best as it comes from a pig that roams the holm oak forests in Huelva and western Spain. It diets on acorns alone. It should be noted that pigs only eat sweet acorns if raised in holm oak forests. They can smell bitter acorns and leave them untouched. They shell sweet acorns and leave the shells on the ground. 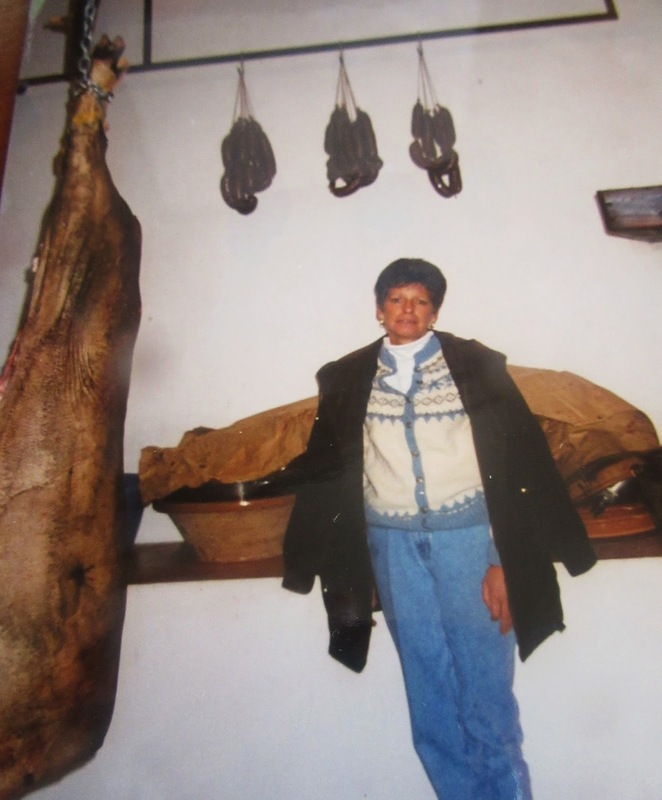 Another method of curing ham is followed in Granada. The legs are placed in a bed of snow instead of salt. 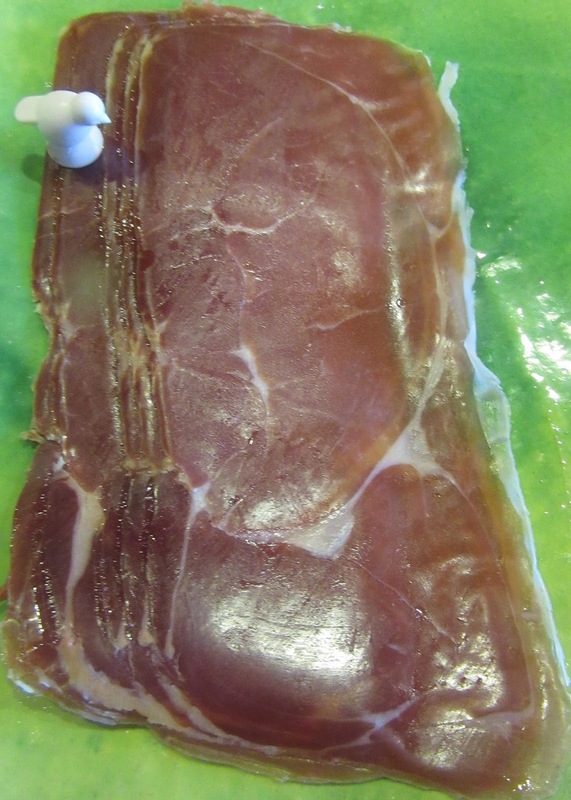 Those from Granada brag that their hams are better than those from Extremadura and Huelva. Serrano ham is a national dish of Spain. It is eaten fresh off the leg or with cheese or melon. It is included in vegetable dishes such as faba beans, green beans, peas and asparagus. It goes with eggs, tomatoes, olives and peppers. Spaniards do pride over Italian pisciutto!